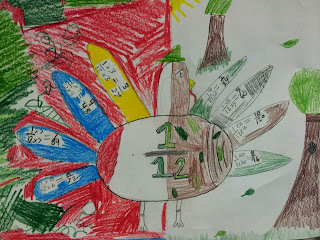 Lately, we've been focusing on fractions quite a bit during math. 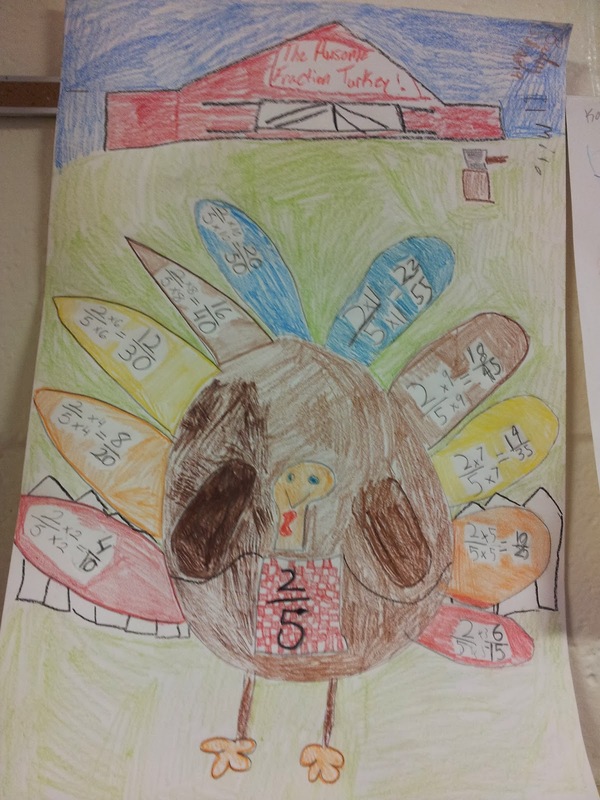 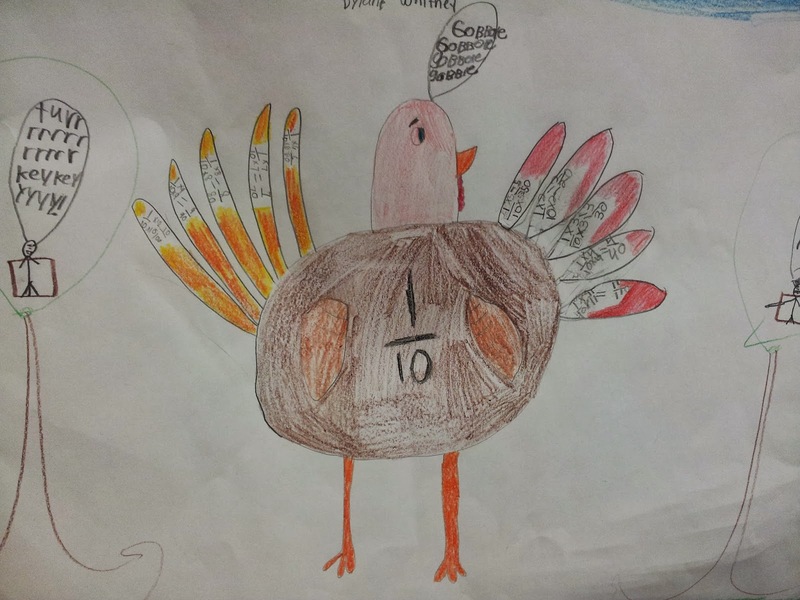 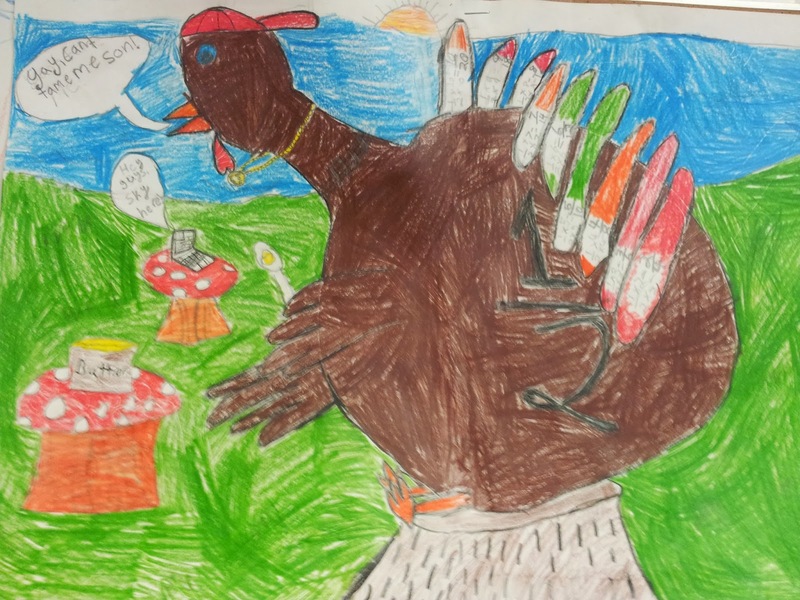 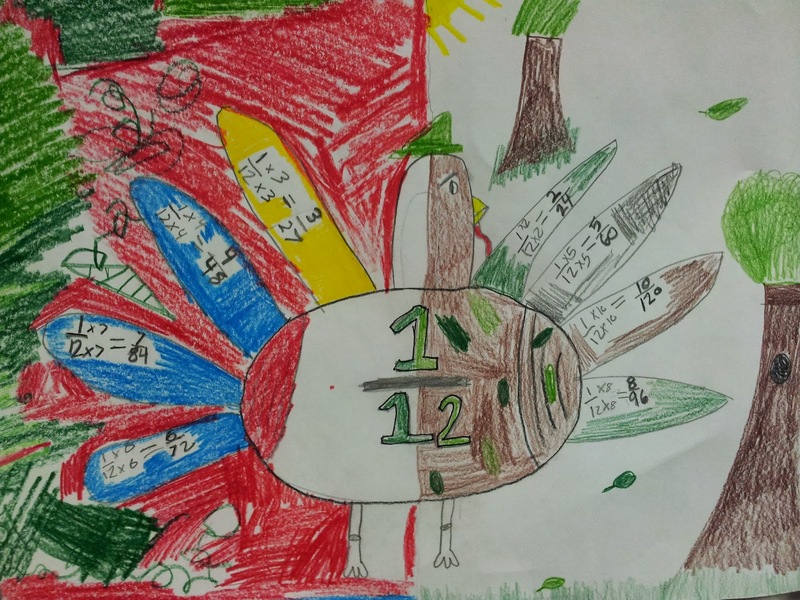 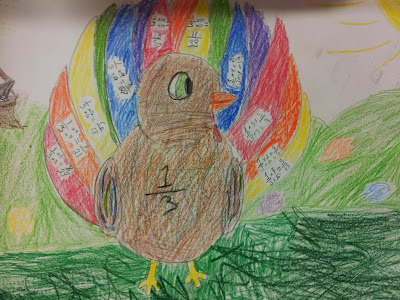 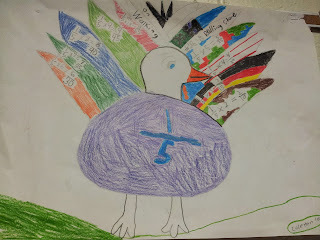 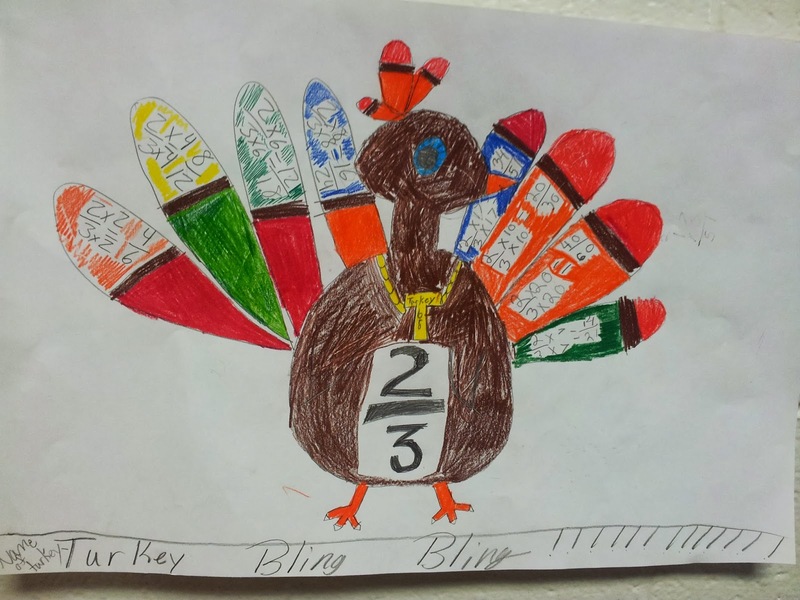 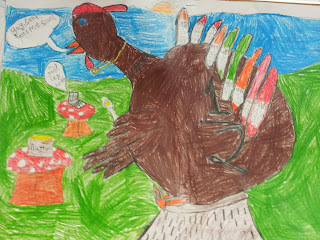 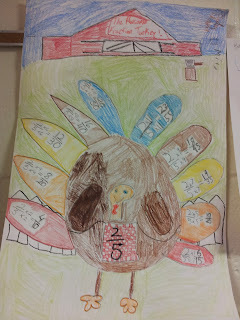 After we learned how to generate equivalent fractions by multiplying both the numerator and the denominator by the same factor, we collaborated with a partner to create equivalent fraction turkeys--which we thought was a fun way to practice (way better than a worksheet). After this activity, we also learned we could find equivalent fractions through division, which made it easier to learn the concept of simplifying fractions!